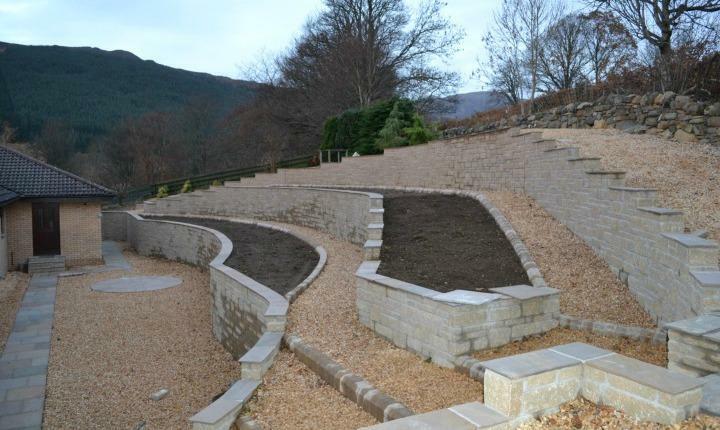 This large scale landscaping project took place near Aberfeldy in a fabulous location overlooking Loch Tay. 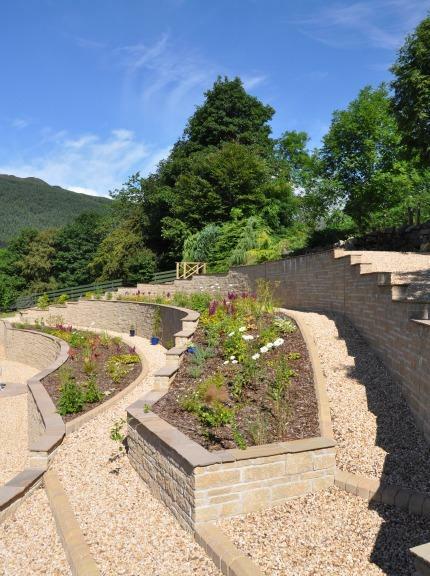 The brief was create a drive-in, drive-out entrance at the front of the property and to modernise the terraced garden at the rear to make it lower maintenance. 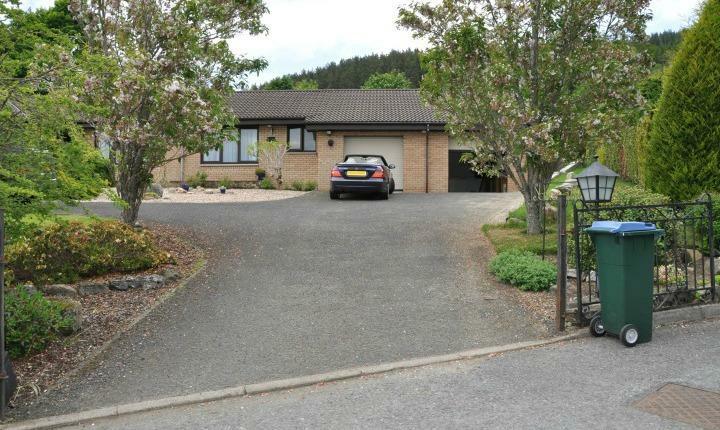 The area at the front of the property consisted of a tarmac driveway with turning area and paving leading to steps at the front door. 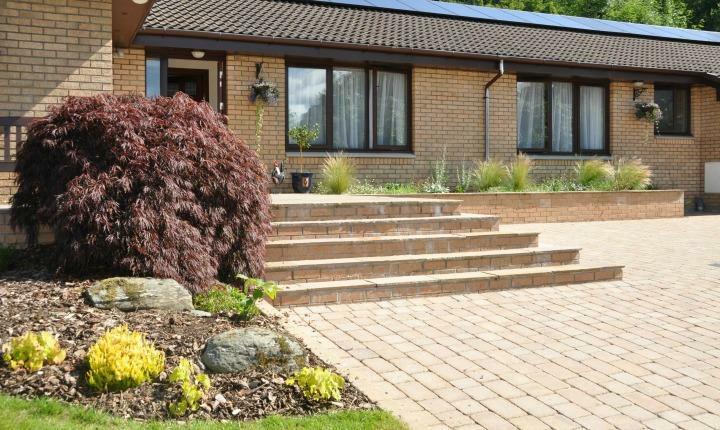 We were asked to create a second driveway to provide a drive-in, drive-out entrance whilst replacing the tired paving and steps for a smart updated frontage to the property. 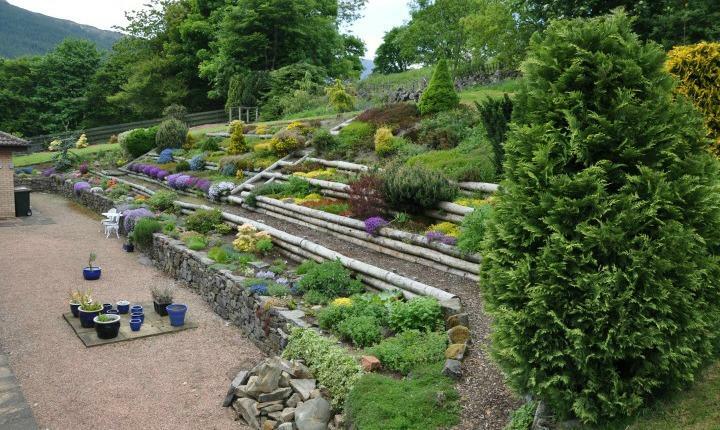 At the rear, the garden was terraced with wooden edgings along beds containing heathers and shrubs. 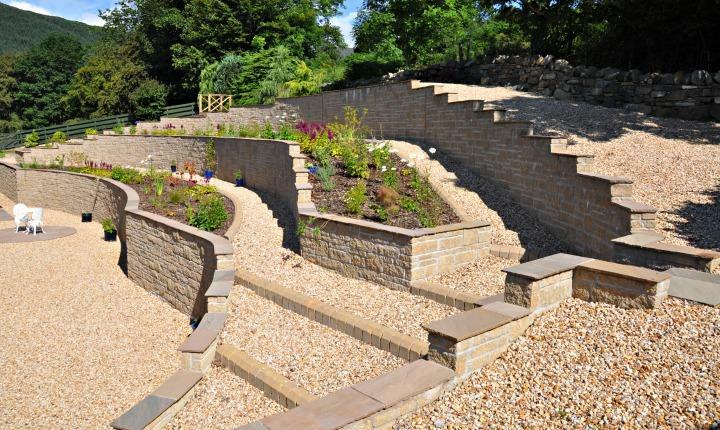 The brief here was to construct stylish terraced walling with paths for easy access to the planting areas. 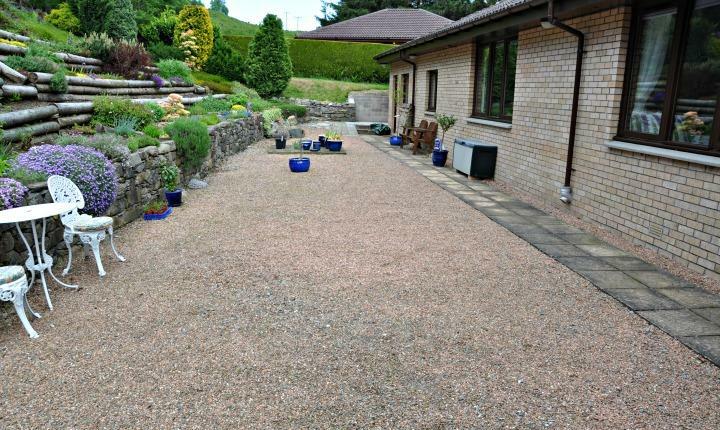 A new driveway was created by cutting through the existing flower bed and lawn. 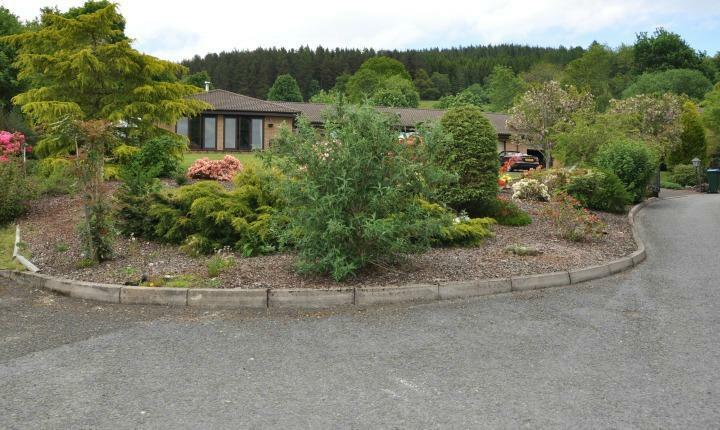 A sweeping parking area was then created to connect the two driveways. 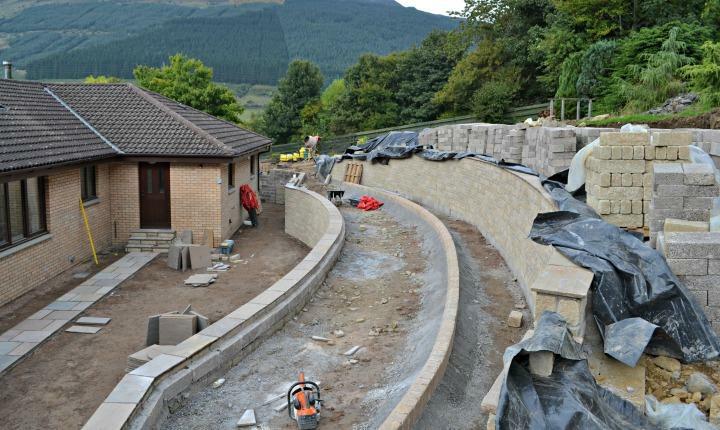 For the rear terracing, extensive excavation was carried out to create the foundations for the new walls and steps. 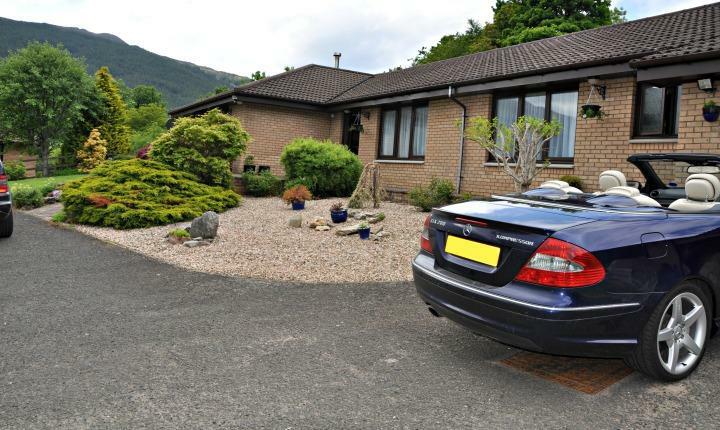 The front of the property was given a more contemporary feel with a smart new driveway and entrance. 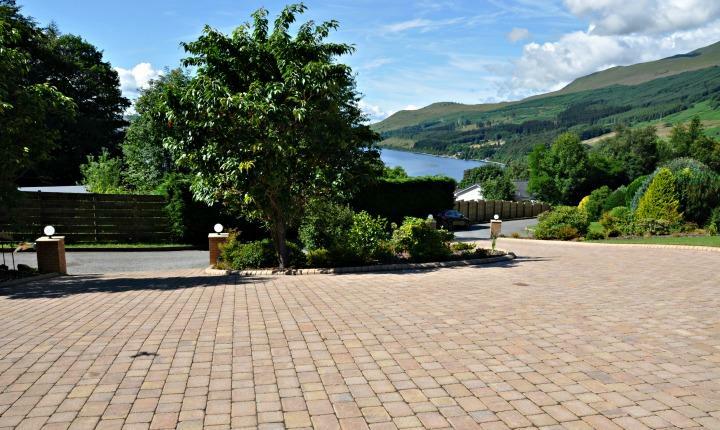 Two tegula block driveways with large parking area. 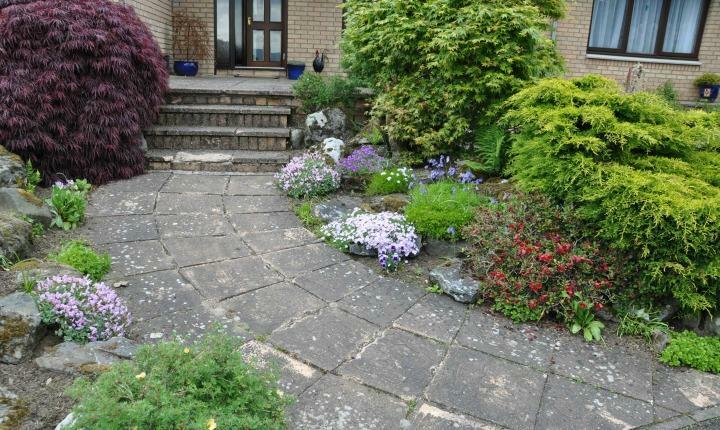 Large sandstone steps at the front door. 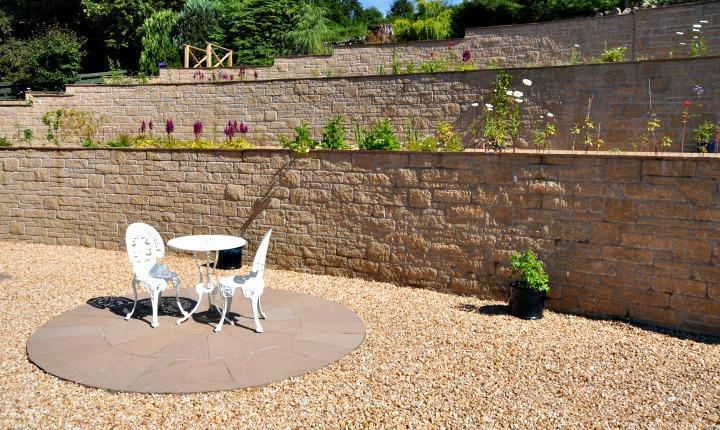 Planter constructed from brick to match the front of the property. 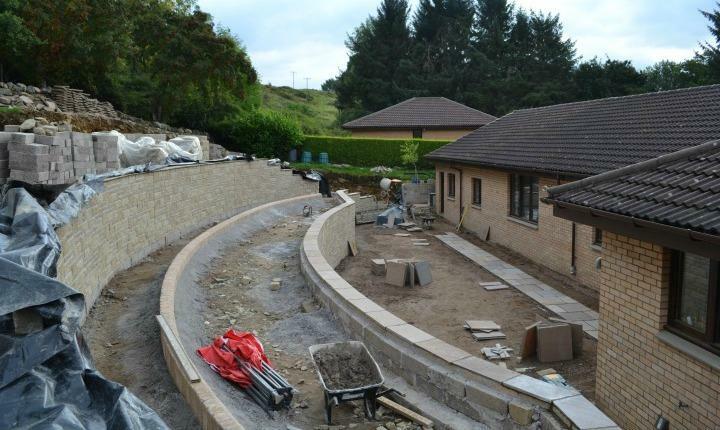 Sandstone paving from front door leading to a raised sandstone patio area at the side of the property. 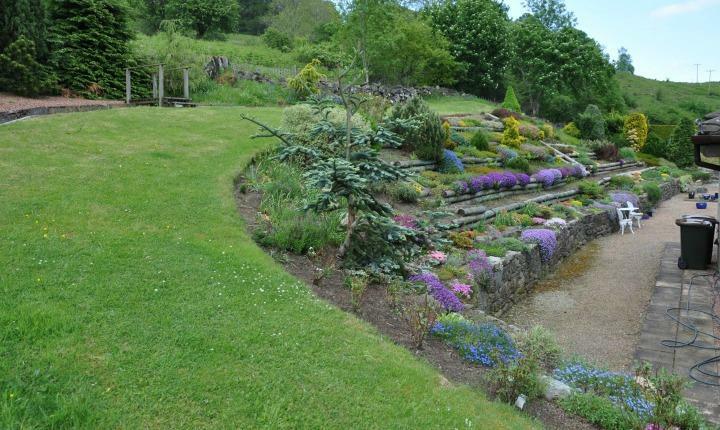 Plants to give year round interest in the new border area. 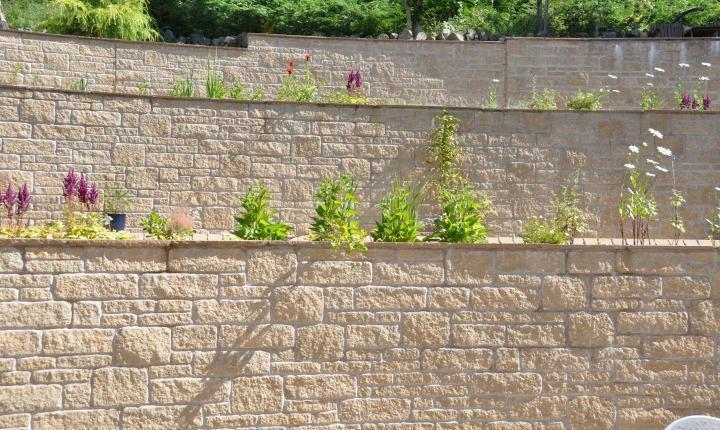 Vast terraced walls in tumbled brown Thistlestone with gravel paths running between. 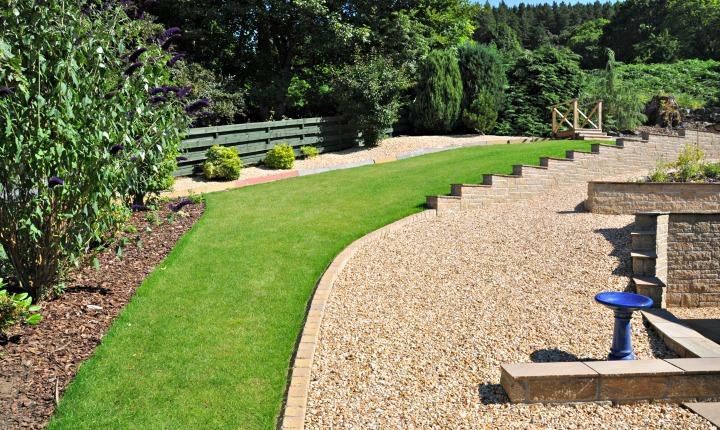 Planting areas in front of the paths for easy access. 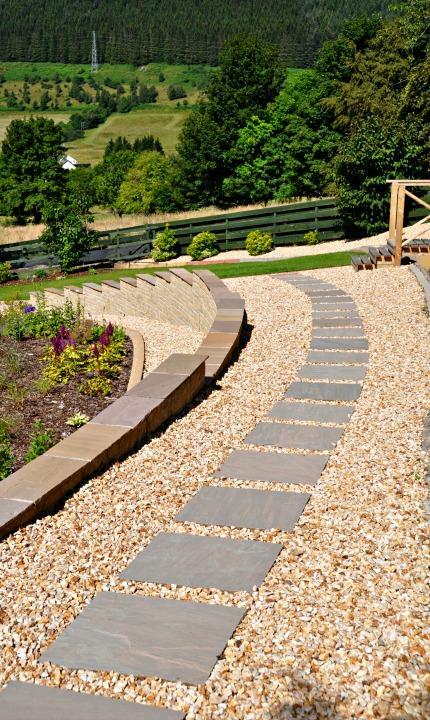 Sandstone stepping stone path to access a top patio. 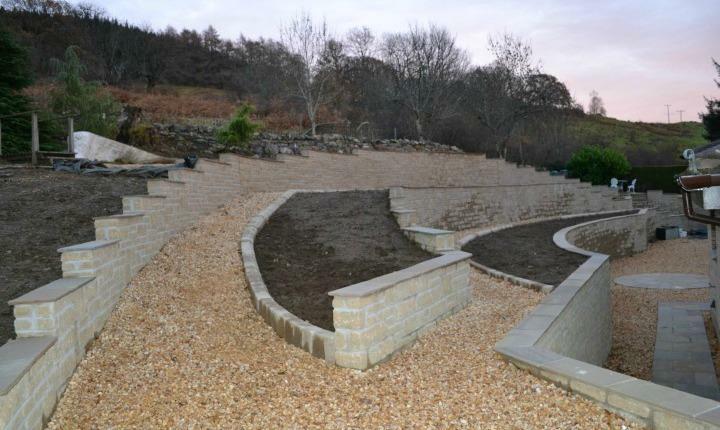 A circular patio using a two ring sandstone circle set into a large gravel area beneath the terraces. 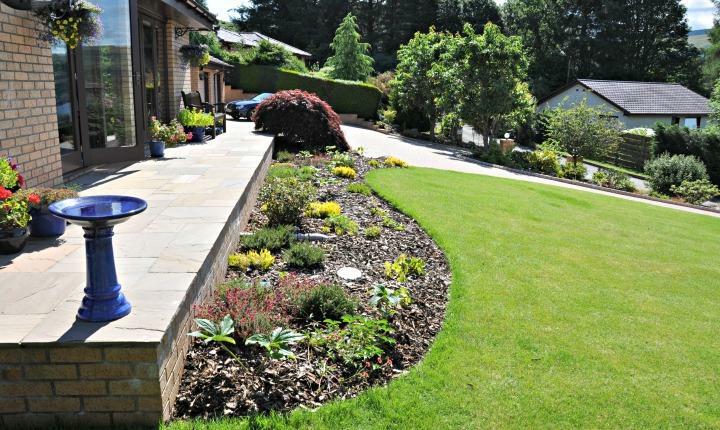 A planting scheme to provide interest throughout the year. 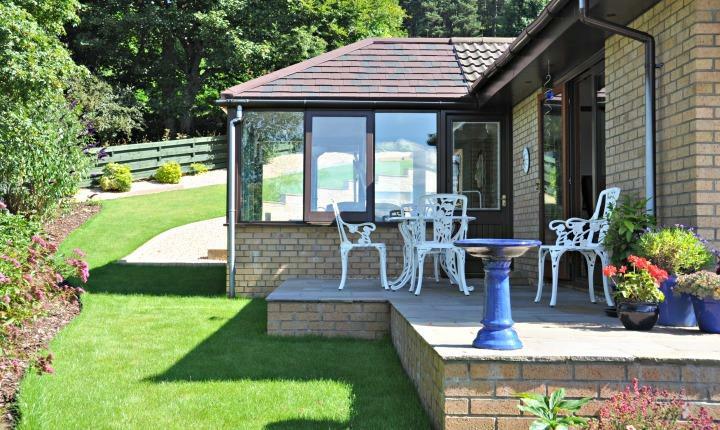 This extensive project transformed the exterior of the property both at the front and rear to provide a fresh, modern practical space with a variety of seating areas from which to enjoy this wonderful setting. 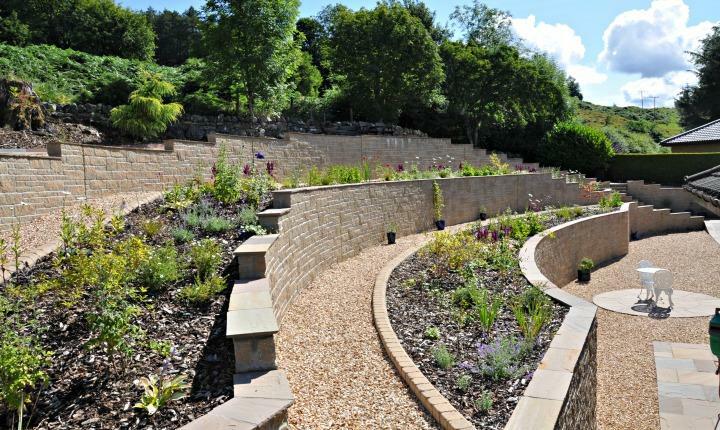 Smart new planting areas add to the contemporary feel and well chosen plants ensure texture, colour and softness all year round.